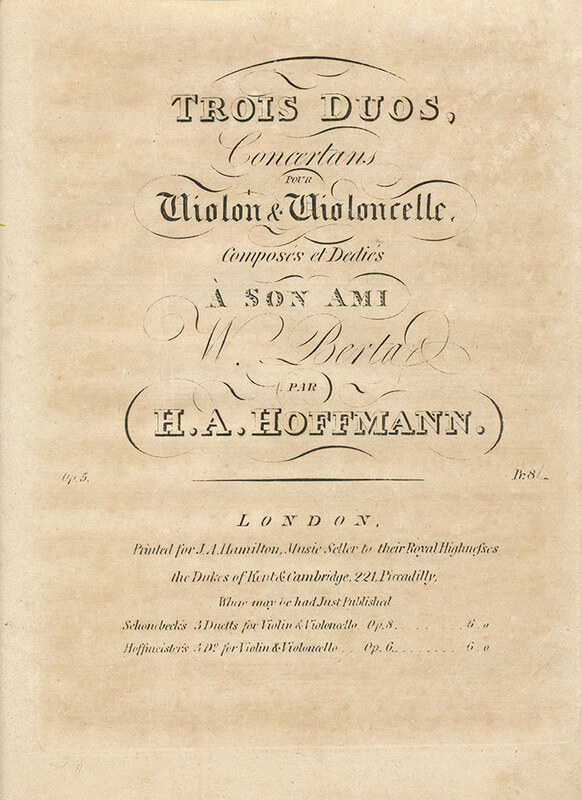 Hoffmann: Duo Concertans for Violin and Cello, Op. 5, No. 1, in C Major (1803). Facsimile of 1803 edition (parts only) and modern performing edition, score and parts. H. A. Hoffmann (1770-1842) was a violinist active mostly in Mainz and Frankfort. He wrote at least eight Duos, Opus 5 and Opus 6. This duo in C Major opens with a sonata form first movement and a Rondo second movement; there is no slow movement.